The Aquarium is by far the most popular dive in the region with divers of all skill levels able to experience its beauty. Swim through the stunning lagoon while watching schools of fish play around you. This is your opportunity to see triggerfish, lionfish and angelfish in their natural habitat, weaving through vibrant coral. This dive site also features two shipwrecks and a plane wreck for you to explore. This dive starts off on a steep drop into the ocean depths and is recommended for divers of intermediate ability and above. 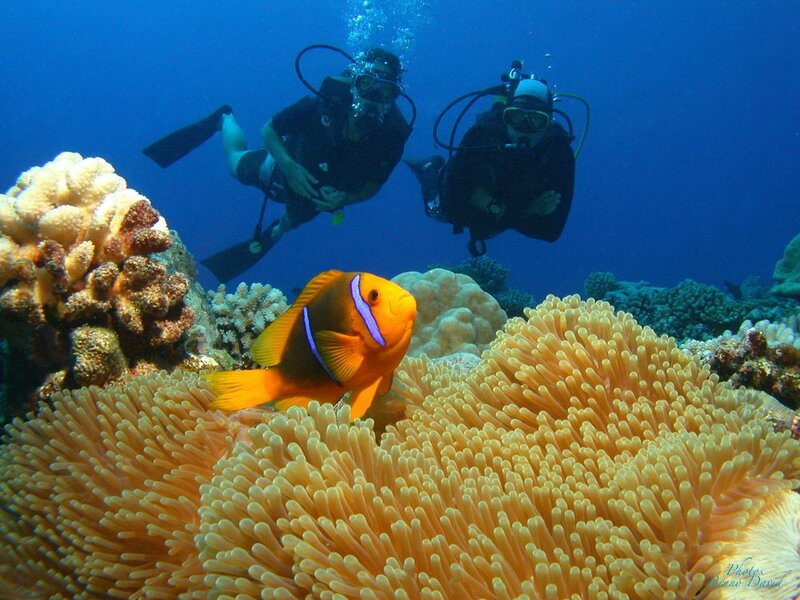 Dive up to 35m down, observing the variety of larger fish that call this place home. Dip around Napoleon wrasse, blacktop reef sharks, trevallies and snappers - you may even see some eels slipping through the reef. If you want to experience an incredible shipwreck and plane wreck, then this is the dive site for you. Taking on intermediate divers, you will be able to swim through the exposed ribs of this shipwreck from 13m right down to 25m. Discover how the beautiful marine life has adapted to life within these incredible wrecks with schools of fish dominating the area. Shark lovers – look no further! 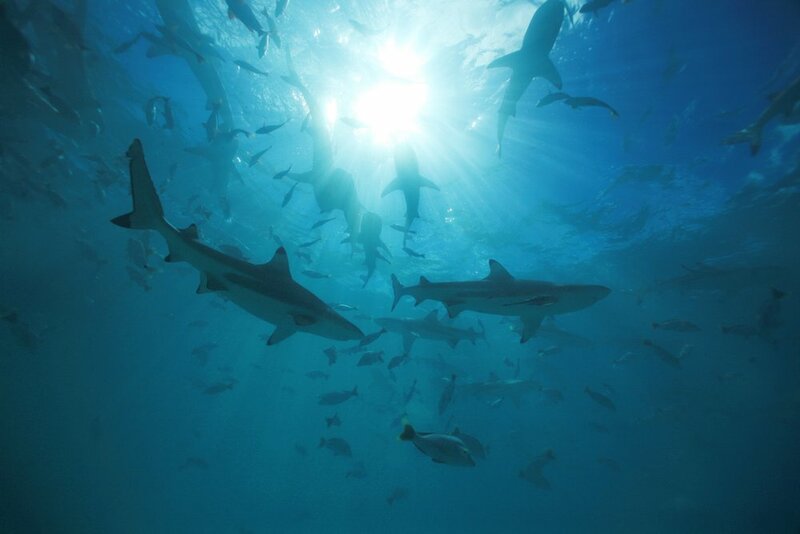 Brave the current to make your way down 35m into a protected cave to view the hundreds of sharks, just metres away. But it is not just the sharks you will get to observe; it is not unusual to encounter eagle rays, manta rays, dolphins or even hammerheads during this magnificent dive. This advanced dive is one of the most beautiful on The Islands of Tahiti with pristine water giving you an incredibly clear view of this underwater paradise. Watch white tip reef sharks, marbled groupers and Napoleon wrasse roam the open waters in this stunning location. Whether you want to try diving for the first time or have a lifetime of experience, The Islands of Tahiti have a spectacular location for you to discover and explore. Take a dive into the beautiful waters of this tropical dream.